We’d love your help. Let us know what’s wrong with this preview of Tom's Midnight Garden by Philippa Pearce. To ask other readers questions about Tom's Midnight Garden, please sign up. Why this book named as "Tom's Midnight Garden? how does tom resolve in his own mind the troubling thoughts of whether he or hatty is actually a ghost? Frances Answer is in the final part of the book....keep reading! I was surprised finding myself that I really liked this book. This is my 98th book this year and just my 2nd children's fiction. If this were not one of the children's books in the 501 Must Read Books, I would not have picked this up. Time Slip is used brilliantly in the plot that you don't know between the two main characters, Tom or Hatty, is the ghost and who is a real human being. To give you an example, in the movie Sixth Sense, you know right away who are the ghosts because the boy charact I was surprised finding myself that I really liked this book. This is my 98th book this year and just my 2nd children's fiction. If this were not one of the children's books in the 501 Must Read Books, I would not have picked this up. Time Slip is used brilliantly in the plot that you don't know between the two main characters, Tom or Hatty, is the ghost and who is a real human being. To give you an example, in the movie Sixth Sense, you know right away who are the ghosts because the boy character says "I see dead people." Here, at first, I thought Hatty was clearly the ghost until she described Tom and then I did not know anymore. Then in the end, there is another surprise but I will not tell you what as I do not want to spoil your reading. The final scene is the most heartwarming and moving scene in a children's book that I've so far encountered. Prior to this, my most moving scene was in the book Charlotte's Web (1952) specifically when the many baby spiders appear in the barn one morning while Charlotte (the lady spider) is explaining to Wilbur (the pig) the passing of time. The difference between the two is that the characters in this book, Tom and the elderly Hatty, are real people so it is easy to identify with them. They don't talk about anything profound like Charlotte and Wilbur but the revelation is so gripping that would not think that this book was published during the time when your parents were probably not born yet (1958). The grandfather's clock ringing on the 13th hour is for me very imaginative. The ice skater reminded me of the movie Somewhere in Time. There are so many memorable elements in this book that had Pearce only used more complex language, this book could be for adults and maybe classified as either a book under sci-fi or horror genres or maybe a fusion of those. Or throw in a love story between Tom and Hatty and this could be good material for a romantic movie. Intelligent writing. Innovative plot. Immensely imaginative. Why is it that I am only reading these beautiful children's books now that I am past the mid-point of my life here on earth? Mind you, don't underestimate the children's books. Sometimes, they are even more complex and engaging than other popular bestsellers written with adult readers in mind. English manor homes seem to inspire a certain kind of time travel story. They are usually dream like and include a friendship across the ages. The only caveat, the protagonist from the present is usually unable to alter past events. Tom's Midnight Garden by Philippa Pearce fits perfectly in this category and it's one of my favorite examples. Tom Long, the present day (that being probably the 1950s) protagonist is sent away to his aunt and uncle's flat while his brother recovers at home from the English manor homes seem to inspire a certain kind of time travel story. They are usually dream like and include a friendship across the ages. The only caveat, the protagonist from the present is usually unable to alter past events. Tom's Midnight Garden by Philippa Pearce fits perfectly in this category and it's one of my favorite examples. Tom Long, the present day (that being probably the 1950s) protagonist is sent away to his aunt and uncle's flat while his brother recovers at home from the measles. The flat, of course, was once a manor house and has sometime in the last fifty years been dived up into apartments. The only clue to the house's history is an old grandfather clock that keeps perfect time but chimes at random. The clock is also the key for Tom to travel back in time to the Victorian era where he meets a girl about his age named Hatty (Harriet) Melbourne. As the summer progresses, Hatty grows up. Tom's goal during his short stay with his aunt and uncle is to learn the secret of the clock and to find out what happened to his friend Hatty. Tom's Midnight Garden is a short but extremely satisfying novel. It is tightly plotted and populated with interesting and believable characters. When the book ended I was both happy to have enjoyed the book and sad to say goodbye to Tom and Hatty. Of course, I was partial to Hatty, having a Harriet of my own. But even without that personal connection, I would have loved the novel. I read this book 10 years ago, and it still haunts me. Tom is forced to stay with aunt and uncle for the holidays. He hates the "no-garden"-ness of their city flat, and a cranky old landlady who lives in the attic. One night, the old grandfather clock downstairs struck 13. Tom is led to open the back door, and he finds a blooming and live garden, which he learns later isn't there during the daytime. In the garden world, time stood still for him. He befriends Hattie, a girl as lonely as he is. But I read this book 10 years ago, and it still haunts me. In the garden world, time stood still for him. He befriends Hattie, a girl as lonely as he is. But why is time skipping each night he visits there? Sometimes it's summer, sometimes it's winter, sometimes Hattie is very young, sometimes she is nearly a young woman. After reading the summary above, maybe you think this is a ghost story. At first that's what I thought, but it turns out to be not like that. What I love about this book is how time and reality all seemed just a blur. The author weaves Tom's day-life with his life in the midnight-garden deftly. In his day-life, Tom struggled to find the explanation to the garden. Things are going bad (to his mind) when his stay at his aunt and uncle is nearly over, and he found he didn't want to leave the midnight-garden, nor let it change. A truly magical story, entertaining for kids and adults alike. The beauty of this book is how you can allow your imagination to run away with you, just as Tom does. I will for sure pass this story (probably this exact book because THAT COVER THOUGH and it has cute illustrations) onto my kids as I think it's a great classic kids story. I know this story well, I had the audio book on tape (yes tape, I am 21, kids) when I was a little girl but it was an abridged radio-play dramatization s 4.5 STARS. I know this story well, I had the audio book on tape (yes tape, I am 21, kids) when I was a little girl but it was an abridged radio-play dramatization style so it was such a luxury to be able to actually read the words, as if for the first time again. It was a great nostalgia trip and I found myself feeling the tension I felt when I was tiny, WISHING Tom to go back to the garden and other such spoilery things. A true delight, if you're a grown up like me, pick it up, read it, love it and hang onto it for your kids. All this time I thought I had already added it to the shelf. This is a true children's classic. It is a beautiful, haunting evocative story of childhood, growing up, adulthood and old age. It's also unbearably sad, in a happy kind of way, if that makes sense. It's the story of life. As a child and a teenager I used to have dreams about the Midnight garden, so did last night. The story is about how two lonely children - a liitle boy named Tom and a little girl named Hattie - found each other's wo All this time I thought I had already added it to the shelf. This is a true children's classic. It is a beautiful, haunting evocative story of childhood, growing up, adulthood and old age. It's also unbearably sad, in a happy kind of way, if that makes sense. It's the story of life. This is another one of those titles that remember from school days but cannot remember reading - Along with the rats of NIMH and the secret garden there were a list of books we had to read at school which I think at the time I dreaded or hated in equal measures but now look back with fondness and curiosity. Well I had the chance to get a copy (okay this copy) for free and leapt at the chance to read it (again I think). And I must admit the memories all came flooding back - yet the book reads bot This is another one of those titles that remember from school days but cannot remember reading - Along with the rats of NIMH and the secret garden there were a list of books we had to read at school which I think at the time I dreaded or hated in equal measures but now look back with fondness and curiosity. And I must admit the memories all came flooding back - yet the book reads both at times quaintly and a little out of date - rather like the times I re-read Porterhouse Major - but then again this book was first written in the 50s so I cannot really hold it accountable for all my adult reservations. Anyway the book is a great tale of loneliness and discovery put in a fashion only a rather frustrated and at times angry boy can put it. The tale is delightful and one of hope which I think sometimes is missing in the world. It has been several years since I last read this beautifully enchanting and somewhat haunting time-slip tale about childhood, friendship, adolescence and the ocean swept passages of time. This being not only my favourite time travel book but perhaps my favourite stand alone novel of all time, I thought its about time I wrote a little something about it. To be honest, I'm triggered to writing this in a hope of promoting its position in a poll for our next time travel book of the month group read. It has been several years since I last read this beautifully enchanting and somewhat haunting time-slip tale about childhood, friendship, adolescence and the ocean swept passages of time. This being not only my favourite time travel book but perhaps my favourite stand alone novel of all time, I thought its about time I wrote a little something about it. To be honest, I'm triggered to writing this in a hope of promoting its position in a poll for our next time travel book of the month group read. See, just as our protagonist, 12 year old Tom, longs to share his discoveries of the Midnight Garden with his sick bed ridden friend, I long to share this book with others around me. One of the many reasons for its ultimate impact is that it has the most profoundly moving revelation last act that brings the whole journey to an emotional crescendo. When I was a young early teen reading this, I would relate to the protagonist Tom and his mission to play, having been dispatched to "boring" uncle and aunt for the summer, to avoid catching measles from his bed ridden little brother at home. Knowing how important it was to make the most of the summer holiday to play, I would feel for his plight and hope he finds this midnight garden quickly that the book title promises and so I would be enchanted at his magical discovery and the intriguing new found friendship in a girl called Hattie. Then I would be bewildered at where the main story was going exactly, yet still be enraptured in the journey and then be stunned by its powerful conclusion. At the time, the book became one of my instant favourites despite my love for more fast pace action adventures and fantasies. However, as an adult, the book resonates in a much different way, more deeper layers emerge about childhood innocence, growing up, and reflections on the passing phases of time, both good and bad. Most of all, I marvel at how so well written this is, how the narrative effortlessly sweeps along with haunting effect and how wonderfully clever the time travel plot device had been woven in. What is masterful about the narrative is how you know what is going on with some of the characters and their thoughts without the book spelling it out. Its all in the expressions and that's where the narrative's power lies. Though this book is written for YA, I feel adults would most likely pick up on these deeper unspoken layers. There isnt much to criticise about this book at all. Just know this is a gentle paced novel with a quintessentially English setting. It is a masterpiece of young adult literature but as the cliché goes, this is a timeless book for readers of all ages. Its not long, only 240 pages. So friends, take a tiny break from your modern fiction, your fast paced thrillers, schools for wizards, vampires, spaceships or shades of grey. For the next 2-3 days, let this book sweep you back in time, a time of simplicity, innocence, enchantment and poignant reflection then prepare to dab at your eyes for the knock out revelation ending. There is a time-travel aspect to the storyline, but the 1950s setting of Tom will feel nearly as 'historical' to contemporary readers as the 1890s setting of Hatty. It does capture something very universal, though, about children's play, about imagination, about growing up, and about the mysteries of time. Oh! How do I express my gladness to have experienced this book? I can’t believe it’s from 1958. It could be a 1970s child, who feels his summer was forfeited by spending it with his apartment-dwelling Aunt. He loves his family’s yard and his Aunt only has trashcans on cement. With his brother ill, away he goes. His Aunt is keen to take him out but his Uncle is my least favourite type; debating whatever you utter. I love that Tom issues metaphysical challenges to him! I hadn’t heard of Philippa Pe Oh! How do I express my gladness to have experienced this book? I can’t believe it’s from 1958. It could be a 1970s child, who feels his summer was forfeited by spending it with his apartment-dwelling Aunt. He loves his family’s yard and his Aunt only has trashcans on cement. With his brother ill, away he goes. His Aunt is keen to take him out but his Uncle is my least favourite type; debating whatever you utter. I love that Tom issues metaphysical challenges to him! I hadn’t heard of Philippa Pearce, who was surely a dear person to create this. I found “Tom’s Midnight Garden” at bargain shops where I make lasting discoveries like this. It looked like a ghost story but I quickly shook off my dismay that this isn’t what it is. It’s a poignantly-layered, enriching rendezvous across time. The apartments are inside a manor house, that once had vast grounds. When Tom descends for a look at a family clock that its elderly owner winds: he sees the original acreage out the door! It isn’t a one-time privilege. He walks about night after night, visible to no one except a girl his age. The reasons worked out are remarkably imaginative and plausible. I remember avidly watching the Children's BBC adaptation of TOM'S MIDNIGHT GARDEN when I was around Tom's age myself - this would have been in 1990 or so. I absolutely loved the series, but to my chagrin I never read the book on which it was based - until now. I'd always assumed that this was a modern book but on checking the details I found it was written in 1958 - this explains how Pearce has a natural way with words and how she recaptures the same magic of childhood as Enid Blyton did. In fact I remember avidly watching the Children's BBC adaptation of TOM'S MIDNIGHT GARDEN when I was around Tom's age myself - this would have been in 1990 or so. I absolutely loved the series, but to my chagrin I never read the book on which it was based - until now. I'd always assumed that this was a modern book but on checking the details I found it was written in 1958 - this explains how Pearce has a natural way with words and how she recaptures the same magic of childhood as Enid Blyton did. In fact, as time goes on, I think readers will realise more and more that this is a true classic of the period. TOM'S MIDNIGHT GARDEN is one of those spooky, magical stories that creeped me out as a kid but now have me spellbound to the page. The idea of the grandfather clock that strikes 13 is fine in itself, but the moonlit garden is a real work of art, a thing of beauty not unlike in the classic story, THE SECRET GARDEN. Certainly the best book about a garden that I've ever read. I enjoyed the way that Pearce keeps interpretations open, not getting too held up in the technicalities of time travel. Is this sci fi? Is it a ghost story? It's open enough for the reader to make his or her own judgement, which I thought was a very neat aspect of the story. The writing is superbly evocative and the characters quite wonderful. In the end, this is a love story - not only between Tom and Hatty, but between the author and childhood. The way the book deals with the lost innocence of childhood and the inevitably of adulthood absolutely broke my heart and I ended up sobbing my heart out as I read through the final pages. Tom Long is a young boy who is sent to stay with his Aunt and Uncle for a Summer when his brother becomes ill. There isn't much for Tom to do, but one night when the big old Grandfather clock in the hall strikes Thirteen, Tom goes to investigate. He opens a door to shine some moonlight on the clock........and finds a wonderful garden where there should only be rubbish bins and concrete. Written in 1958, this was a childhood favourite of mine. I never owned a copy, but I borrowed it from the libr Tom Long is a young boy who is sent to stay with his Aunt and Uncle for a Summer when his brother becomes ill. There isn't much for Tom to do, but one night when the big old Grandfather clock in the hall strikes Thirteen, Tom goes to investigate. He opens a door to shine some moonlight on the clock........and finds a wonderful garden where there should only be rubbish bins and concrete. Written in 1958, this was a childhood favourite of mine. I never owned a copy, but I borrowed it from the library repeatedly. I saw it in a bookshop recently and had to get it - I was worried that it wouldn't have the same magic after so long but I needn't have worried, it was just as magical, wonderful, bittersweet, and engaging as it was when I was a child. So beautiful, especially the last half! If you used to spend your childhood playing outdoors, or if you're into gardens, or if you simply love a sweet story with a touch of fantasy, you should seriously consider reading this book. I think it's even better to read this as an adult, because you will get all the finer nuances and details that a child might not realise. When I think about this book, I get the same sort of feeling as Tom at the beginning of the story -- a little stifled, restless, too full of food. It's quite odd! Anyway, that somewhat colours my memories of this book, making it a bit less wondrous than perhaps it should be. It's a sweet story, ultimately, about mutual loneliness and need of companionship reaching right across time and bringing too lonely children together. It never gets too saccharine, though -- perhaps just slightly, at the en When I think about this book, I get the same sort of feeling as Tom at the beginning of the story -- a little stifled, restless, too full of food. It's quite odd! Anyway, that somewhat colours my memories of this book, making it a bit less wondrous than perhaps it should be. It's a sweet story, ultimately, about mutual loneliness and need of companionship reaching right across time and bringing too lonely children together. It never gets too saccharine, though -- perhaps just slightly, at the end, but that's a nice touch for the very end. Despite the male protagonist, it isn't only a boy's story -- his friend is a young girl, Hatty, who is equally capable of climbing trees and making a bow and arrows... Although, of course, she does have to be taught by Tom. Fanciful...timey-wimey...too gentle and charming to be called sci-fi, but you get the idea. In this book, written in the 50s, young Tom Long must go stay with his uncle and aunt to be quarantined in case he caught the measles from his brother. While there, late at night, he hears the grandfather clock chime thirteen times. He discovers that at this mysterious signal, he is able to walk out the door into a beautiful garden that's not there during the day. To begin with, he just enjoys playing and e Fanciful...timey-wimey...too gentle and charming to be called sci-fi, but you get the idea. To begin with, he just enjoys playing and exploring. But eventually he makes friends with a girl named Hatty. Who is she? When is she? And will Tom ever understand the enigma that is his Midnight Garden? Pearce left me with mixed feelings throughout my reading of her book. It is without a doubt that her rich language has created a magical, vivid world- one that all children would want to be a part of. It is this language that makes it all the more heartbreaking when Tom has to leave this world, live in the present and move on with his life. Another positive to the text is the philosophical questions that Pearce evokes. The audience is left questioning the concept of time, looking more deeply int Pearce left me with mixed feelings throughout my reading of her book. It is without a doubt that her rich language has created a magical, vivid world- one that all children would want to be a part of. It is this language that makes it all the more heartbreaking when Tom has to leave this world, live in the present and move on with his life. Another positive to the text is the philosophical questions that Pearce evokes. The audience is left questioning the concept of time, looking more deeply into the nature of aging- and wondering what is even real. I did actually really enjoy the ongoing debate over which characters were ghosts- and I am sure that this would promote some excellent discussions. All this being said, I often found it quite difficult to engage with the text, particularly towards the middle of the book. I sometimes felt that Hatty and Tom's encounters were anticlimactic, with a lack of purpose and meaning behind them, and I found myself wondering what it was all amounting to. However, I felt that her writing did become more focused towards the end of the story, and amounted to an excellent final plot twist. There's a reason why this book is a classic. I haven't read this book since being at primary school in the nineteen-eighties, and even then, the book was read to me. I'm now thirty-six, and I've enjoyed reading it as much as I did hearing it. The best children's books are the ones that you still want to read as an adult. This is a beautiful story, one that is wonderful to escape into. If plot is a riddle, this doesn't deliver on the riddle's best solution. A prime example of why book party fouls exist, even if they are well managed. . . (view spoiler)[time travel tales are almost all duds. Even in a tale with this much tension, they can't pay off. Hattie was never married to Tom, so we can feel warm and fuzzy that they were friends, and most of us can only dream of having such a friendship, but it's not what people want from the plot. This tale fails in terms of inevitability If plot is a riddle, this doesn't deliver on the riddle's best solution. A prime example of why book party fouls exist, even if they are well managed. . . (view spoiler)[time travel tales are almost all duds. Even in a tale with this much tension, they can't pay off. Hattie was never married to Tom, so we can feel warm and fuzzy that they were friends, and most of us can only dream of having such a friendship, but it's not what people want from the plot. This tale fails in terms of inevitability. It seems to be pointing somewhere, but we only get a consolation prize. Step away from the emotion and give this a critical eye. Two children are lonely so they cross time to meet each other, even though there are other people around. They become friends and get each other in trouble, then spend the rest of their days trying to sort what happened. 2. Iznerviram se što ovo nisam pročitala 30 godina ranije. Ok. 25 godina ranije. Osećam da bi mi bilo nešto najomiljenije na svetu. 2b. Iako mislim da bi meni bilo najomiljenije na svetu, nisam sigurma da bih mogla da preporučim Kad sat otkuca trinaest malcima danas jer je, naročito negde oko prve trećine, knjiga veoma spora. Prosto ritam iz drugog vremena. Ali to se do kraja sve isplati. This is one of those novels that I'll remember and appreciate in time more than I do now. The story is a good one, and there are many memorable scenes. However, I found the writing rather tedious, sluggish; I kept wanting the pace of the narrative to pick up. The final forty pages are quite lovely, and the final encounter choked me up. Still, I don't know that I'd recommend this to a child - certainly not before "The Borrowers" or "The Children of Green Knowe." Philippa Pearce OBE was an English author of children's books. Her most famous work is the time slip fantasy novel Tom's Midnight Garden, which won the 1958 Carnegie Medal from the Library Association, as the year's outstanding children's book by a British subject. Pearce was four further times a commended runner-up for the Medal. Pearce wrote over 30 books, including A Dog So Small (1962), Mi Philippa Pearce OBE was an English author of children's books. Her most famous work is the time slip fantasy novel Tom's Midnight Garden, which won the 1958 Carnegie Medal from the Library Association, as the year's outstanding children's book by a British subject. Pearce was four further times a commended runner-up for the Medal. Pearce wrote over 30 books, including A Dog So Small (1962), Minnow on the Say, (1955), The Squirrel Wife (1971), The Battle of Bubble and Squeak (1978) and The Way To Sattin Shore (1983). The Shadow Cage and other tales of the supernatural (1977), Minnow on the Say, Bubble and Squeak, and Sattin Shore were all Carnegie Medal runners-up. The Battle of Bubble and Squeak inspired a two-part television adaptation in Channel 4's Talk, Write and Read series of educational programming. The youngest of four children of a flour miller and corn merchant, Ernest Alexander Pearce, and his wife Gertrude Alice née Ramsden, Philippa Pearce was born in the village of Great Shelford, Cambridgeshire, and brought up there on the River Cam at the Mill House. Starting school late at the age of eight because of illness, she was educated at the Perse School for Girls in Cambridge, and went on to Girton College, Cambridge on a scholarship to read English and History there. After gaining her degree, Pearce moved to London, where she found work as a civil servant. Later she wrote and produced schools' radio programmes for the BBC, where she remained for 13 years. She was a children's editor at the Oxford University Press from 1958 to 1960 and at the André Deutsch publishing firm from 1960 to 1967. In 1951 Pearce spent a long period in hospital recovering from tuberculosis. She passed the time there thinking about a canoe trip she had taken many years before, which became the inspiration for her first book, Minnow on the Say, published in 1955 with illustrations by Edward Ardizzone. It was a commended runner-up for the annual Carnegie Medal. It was adapted for television in Canada as a 1960 TV series with the original title, and for British television in 1972 as Treasure over the Water. 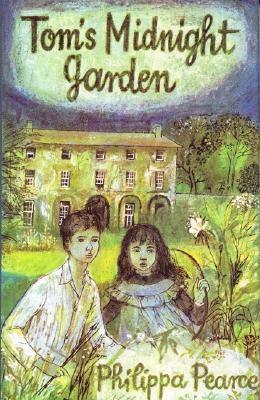 Pearce's second book was Tom's Midnight Garden, published in 1958. Its "midnight garden" was based directly on the garden of the Mill House where Pearce was raised. The novel inspired a film, a stage play and three TV versions. It won the annual Carnegie Medal and for the 70th anniversary celebration in 2007, a panel named it one of the top ten Medal-winning works, which composed the ballot for a public election of the nation's favourite. Tom's Midnight Garden finished second in the vote from that shortlist, between two books that were about 40 years younger.